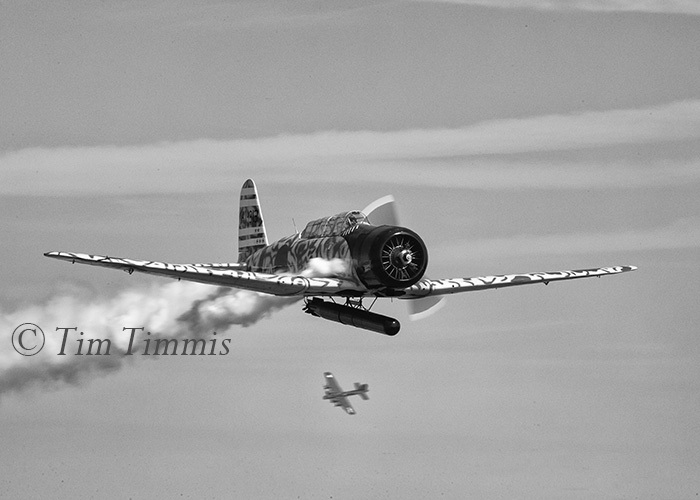 During the Wings Over Houston airshow, they have a Tora Tora Tora portion that simulates the attack on Pearl Harbor. I arrive at the show when it opens to get a seat along the fence line so that I can have an unobstructed view of the action. They blow up bags of gasoline to simulate the bombs, which can make for some cool photos. 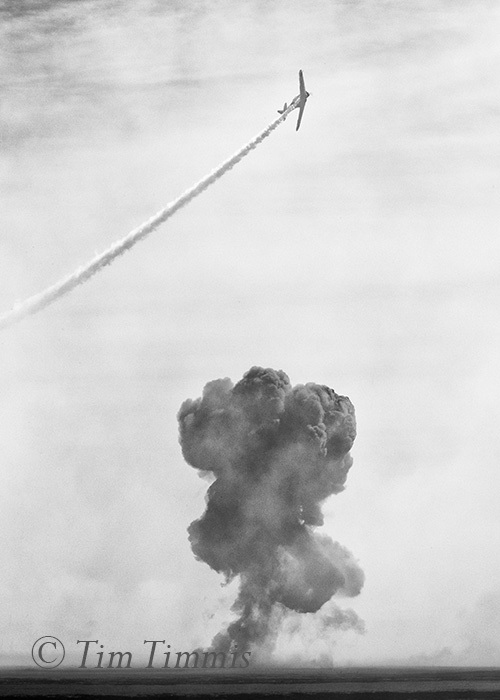 My goal during this part of the airshow is to capture the action with more than just the planes flying by. I’ve got tons of plane photos but like to get some of the smoke in the shot and other planes in the background to enhance the interest/story in the photos. Use shutter priority to blur the propellers with 1/320 for the Zero’s and 1/250 sec for the rest of the planes. Here are some of my favorites from last Saturday, converter to B&W with NIK Silver Efex Pro 2. Gave me the opportunity to break out my new 100-400 II lens and it worked very well. All were taken with Canon 1DX and Canon 100-400 II lens, hand-held. 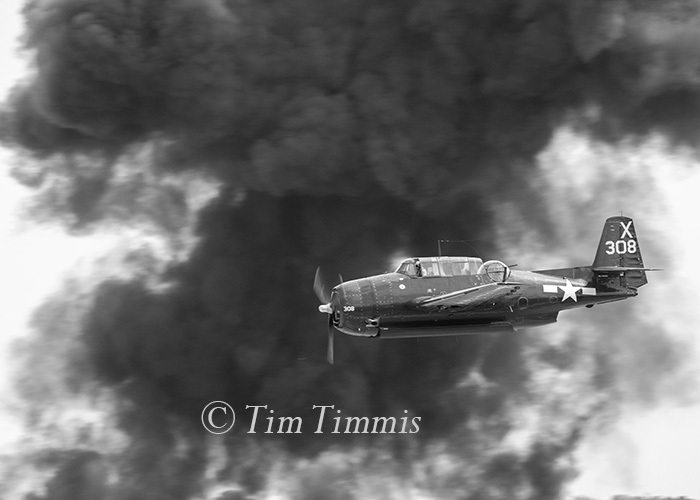 This entry was posted on October 23, 2015 by Tim Timmis. 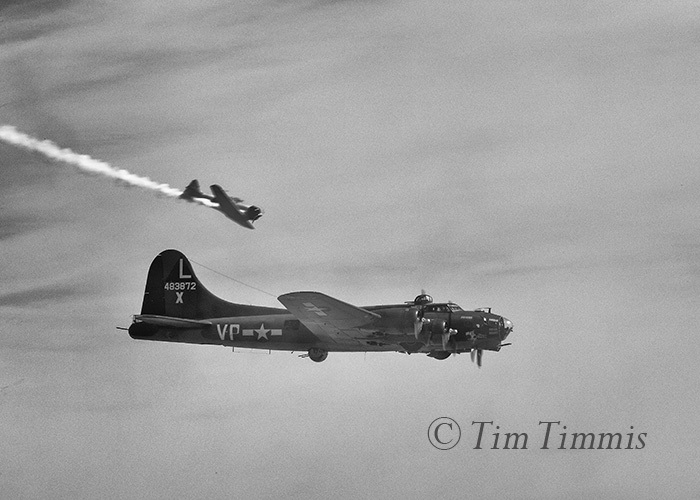 It was filed under Airshow and was tagged with B&W WWII planes, B-17, Canon 100-400 II, Canon 1DX, Japanese Zero, Tora Tora Tora, Wings Over Houston. Good use for B&W. Adds a ‘historical’ look to the photos. Thanks Darrel for checking out my blog and commenting. Appreciate it. I tried sepia but that took it too far. I really like these B&W’s. Good selection.